All warfare is based on deception. Put this in the context of India-Pakistan standoff and one is left wondering; deception against whom, and serving whom? The Pulwama episode has created enough tensions between India and Pakistan anyway. The prospect of war between two nations possessing nuclear weapons should cause a fair amount of panic attacks. No one is immune from the intoxicating nationalism that takes hold of a population when the drums of war are sounded. A common enemy is a great unifier. History has shown that the basis of a large swathe of support for many autocratic leaders was the ability to convince people that the cause of all their problems was one common enemy that they needed to unite against. It is also a useful tool in diverting attention. In India’s case, from the human rights abuse that the people of India-occupied Kashmir have suffered at the hands of Modi’s BJP. War has changed. So have its rules of engagement, its operators and the target audience. All wars are now essentially domestic. It provides a great distraction tool to the ruling elite to sway the domestic politics to reinforce their hegemony. War is what brings stability to the otherwise chaotic world of politics by shoving domestic opposition, dissent and rights movements under the rug through the ‘state of emergency’. It is also what keeps the people under check as subservient to hegemony garbed neatly as patriotism. War does not suit the ruling elite and is therefore reduced to a rhetorical level. This is because the real war between nations has real consequences that then result in real changes in the domestic power structures. Therefore, it is not the war but the hysteria of war that allows the ruling elite to activate its domestic power politics. The real war is essentially against the domestic forces that pose a greater threat to the ruling elite. Analysts from different backgrounds and shades have been discussing and speculating options that the Indian army may take against Pakistan. It is ongoing, as IAF continues to violate LoC, and PAF surprises them as they reciprocate. Some suggest that the so-called surgical strikes that India claimed to have carried out after the Uri attack in September 2016 might not be an option since there was no element of surprise left in it. Take for example the India-Pakistan crisis over Pulwama. For the Modi government, the war hysteria against Pakistan has securitised the entire elections. Forget Modi’s corruption, foreign policy blunders and push towards right-wing extremism, the attack in Kashmir has conveniently reduced the Indian elections to a single-point agenda: how PM Modi will respond to Pakistan. Modi has never been shy about using Hindu nationalism to garner support in India. To the surprise of no one he has stated that he is giving a ‘free hand’ to the Indian army to take retaliatory action against Pakistan for Pulwama. While Pakistan has rightly denied any role in the attack, India continues to push the narrative that Pakistan was complicit. Despite the fact that all signs point to the attack having been carried out indigenously. The attacker, Adil Ahmad Dar, had no links with Pakistan. The attack was carried out by using around 750 pounds of explosives. An amount that Indian Lt Gen D S Hooda has stated would not have been possible to bring across the border undetected. Lacking evidence regarding Pakistan’s role in the attack, India has still somehow been able to convince some of the world of its theory that Pakistan was involved. The Washington Post ran an entire editorial in support of the Indian argument, while several other countries have come forward in support of India. Pakistan needs to wake up to this problem. It has allowed India to mould the international narrative in its favour. For this, Pakistan has only itself to blame. 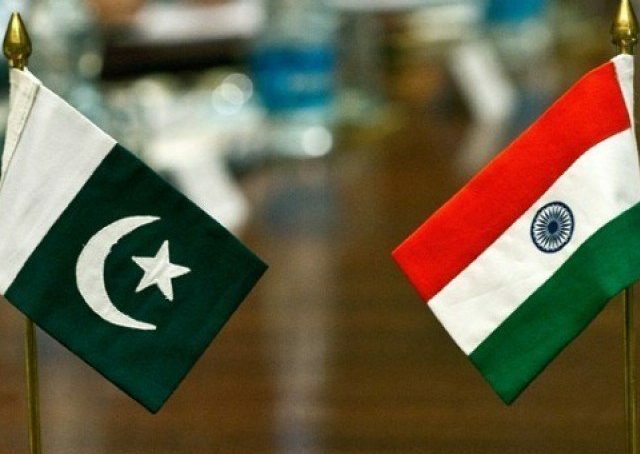 India continues to blame Pakistan for the Pulwama incident despite not having a strong case on the facts. Pakistan needs to counter the Indian propaganda to blame Pakistan for whatever uncomfortable happens in Kashmir. A true comparison of civilian versus military budgets, however, should look at the overall public-sector resource pie, including provincial budgets. This way, it is also easier to look past changes in federal versus provincial split of resources and functions, before and after the 18th amendment. Pakistan needs to control the Indian narrative. It needs to implement its National Action Plan to the letter. Prime Minister Imran Khan has taken one step forward regarding this by taking action against the Jamaatud Dawa, the front for the Lashkr-e-Taiba, but that will mean little if we don’t learn from history. Most radical organisations in Pakistan when faced with being banned or placed under scrutiny reinvent themselves under a different name and continue with business as usual. A zero-tolerance policy against armed groups means no armed groups, no matter their name or agenda, can be allowed to operate in the country. Not only will this make the country safer, it will also improve Pakistan’s standing in the international sphere. While Pakistan needs to deal with its narrative issue, India needs to understand that blaming Pakistan for every incident in Kashmir benefits only one person: Modi. So does Pulwama help Modi? Absolutely, in terms of bringing the elections to his own pitch and being able to call shots through a securitised narrative in India that is controlled by a right-wing BJP-RSS nexus. How it really helps Modi is through a subtle crackdown on dissent and critique against his government. The ‘emergency’ like situation in India through an acceleration of war frenzy against Pakistan has created an atmosphere where any critique of the Modi government is a critique of India at a time of war. Blaming Pakistan diverts attention from the surge in human rights abuse in Kashmir that has occurred under the Bhartiya Janata Party. Adil Ahmad Dar was no Pakistani brainwashed into a delusion that India was the enemy. He was a product of the violence and abuse and daily humiliation for Kashmiris under the BJP government that is now breeding a militant movement in Kashmir. The BJP’s infamous use of pellet guns, its use of human shields, its blatant disregard for international norms in Kashmir, is now documented in a report by the UN High Commissioner for Human Rights. You do not need to be from Pakistan or India to come to the conclusion that what is happening in India-occupied Kashmir is cruel and inhumane. Modi perhaps realizes that it is the BJP’s relentless brute force policy that is the root cause behind the Pulwama attack, but it is easier to blame Pakistan. The aftermath of Pulwama has shown that the people of Kashmir are not really welcome in India. Rather than sit down and consider how best to win the people of Kashmir over, the people of India have demonstrated a masterclass of discrimination and bloodshed against Kashmiris. Modi may look to the United States’ failure in Afghanistan to come to the realization that using brute force to quell a domestic resistance like the one in Kashmir isn’t going to work. It took the United States 17 years to discover this. How long will it take India? So far, the consensus seems to be that Modi’s threats of war are bluffs. Political statements are made because they have to be made. Then again, India’s threat to cut off Pakistan’s water is no mere political statement. It may almost certainly be seen as an act of war if implemented. If things reach that point war mongers in India need to realize that warfare in the 21st century works differently. As Yuval Noah Harari writes: War just doesn’t make economic sense any more. For two countries that have worked so hard to develop over the past decades, war is only a mutual catastrophe. Nuclear weapons or not, both sides will decimate each other and cripple their economies. So instead of engaging in rhetoric of war, India needs to realize that its strategy in Kashmir isn’t working. Both the BJP government and Hindutva elements ought to realize that their ruthless hate policy is only alienating the Kashmiris from India with every passing day. After the Pulwama tragedy, the attacks on Kashmiris in different parts of India are proving counter-productive. Does India need an enemy with friends like Narendra Modi, BJP, Rashtrya Swyamsevak Sangh, Vishwa Hindu Parishad, Bajrang Dal, and the entire saffron brigade? Surely, India is angry and is bent upon taking revenge but eventually it will have to talk to Pakistan. India has a choice — talk to Pakistan now or after any ‘misadventure’. Saner nations would certainly opt for the former. The unfortunate aspect of war or hysteria of war is that it is the abstract concerns of state security that trumps the genuine concerns of human security. The question is the horrifying consequences of a war between two nuclear armed nations. By the time we figure out this politics of war, it will have already changed its face. War is the great deception, and we are its audience.